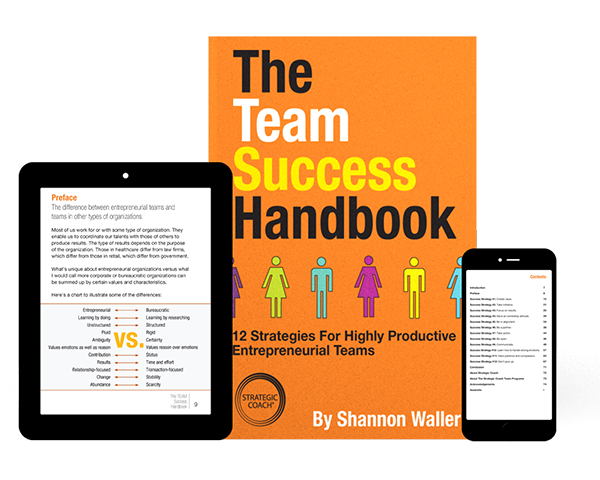 Download your free copy of The Team Success Handbook by Entrepreneurial Team Strategist, Shannon Waller, and help your team see the other side of conventional teamwork. This handbook outlines the 12 success strategies to becoming a valued, effective team member in any entrepreneurial organization. Get access to tools that will help you forge deeper connections as a team and reinforce a workplace culture that’s always growing. Discover the action steps you can take that will align your team, kill complacency, and improve employee performance.